We all know that body lotions are a vital part of our daily routine whether it is summers or winters.The experimental side of me always wants to try different lotions every season.Who doesn’t love Fabindia?I just love fabindia products, be it be their natural soaps, body mists, and creams.The ‘personal and organics’ section always attracts me and I end up picking products every time I visit the store.Yes this time too, I bought a few products.I loved all of them, however, my personal favorite would be the Fabindia Silk Protein Moisturizing Lotion for normal skin.Read on for more details. 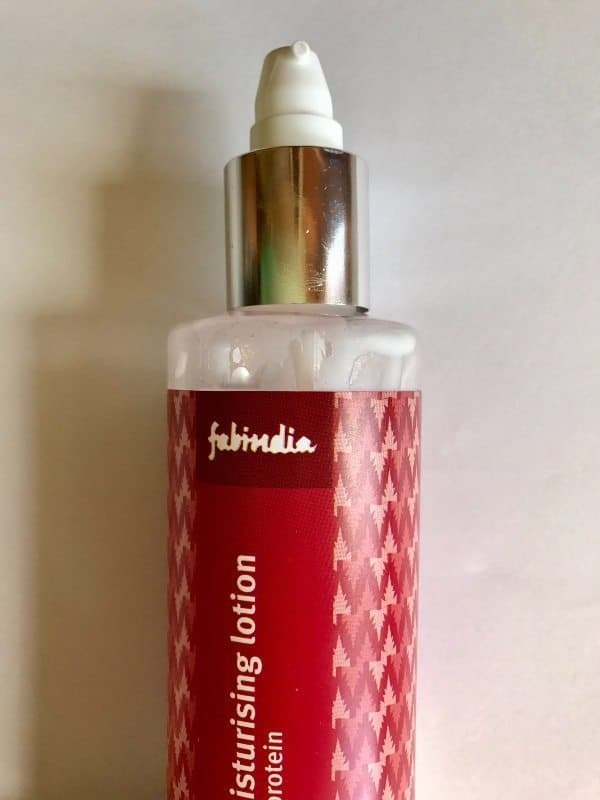 Packaging: Fabindia silk protein moisturizing lotion for normal skin comes in a transparent plastic bottle with a pump dispenser and small cap to secure it and prevent any leakage.The pump is made of plastic and has a small opening which spills out the product in less quantity and hence avoids wastage of the product.The bottle is slightly bulky but can be used for traveling If one wants. Ingredients: Purified Water, Propylene Glycol, Glyceryl Mono Stearate, Isopropyl Palmitate, Dimethicone, Sodium PCA, Cetus Alcohol, Stearic Acid, Emulsifying Wax, Shea Butter, Imid Urea, Methyl Paraben, Vitamin E, Potassium Hydroxide, Carbomer, Xanthan Gum, Propyl Paraben, Sericin, Fragrance. The consistency of the product is thin and lotion like white in color.The lotion has a very different fragrance which is difficult to describe but it is slightly on the strong side and lingers for good 45minutes…I personally prefer fragranced lotions for my body, they just recharge me.Although nothing is mentioned If it can be used on the face as well as the body, I use it only as a body lotion. It is nongreasy and gets absorbed quickly when you apply it on the skin, providing instant hydration to the skin without leaving any oily cast and causing any irritation to the skin. 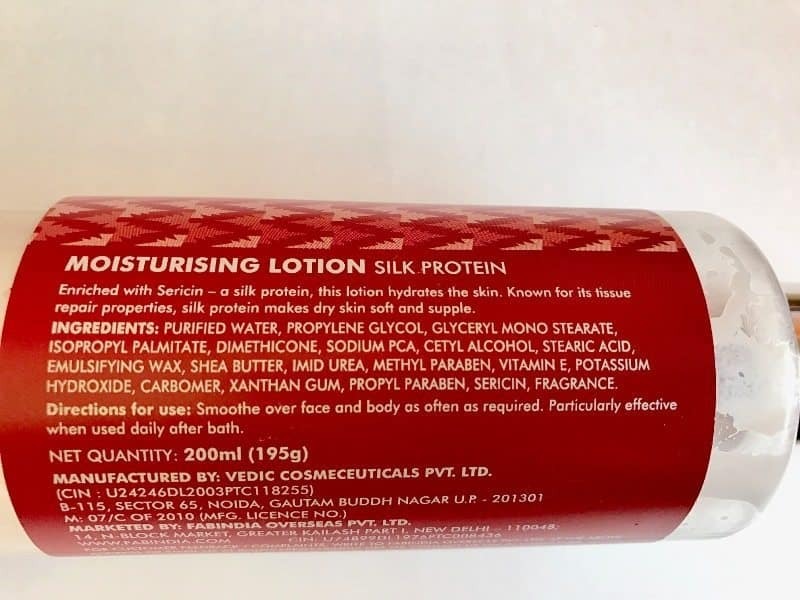 It is hydrating enough for normal skin but I really doubt if it can work well for winters and dry skin since it is not that moisturizing.This would be a good lotion for summers and year round if you do not have dry skin but will not work for winters. It does not contain any SPF, which I find to be a con, making unsuitable for outdoors during the daytime. The moment I apply it instantly takes care of the slight dryness and keeps my skin moisturized for 4 to 5 hours and I am good to go. Reapplication is necessary only if you have a very dry skin. I have normal skin but sometimes some parts of my body get very dry especially my hands, I like my hands moisturized but this lotion fails to keep my hands happy. I have been using it for quite some time now, it is working well for my body except for my hands.Once applied to the body, and you don’t need to reapply it unless you have very dry skin. 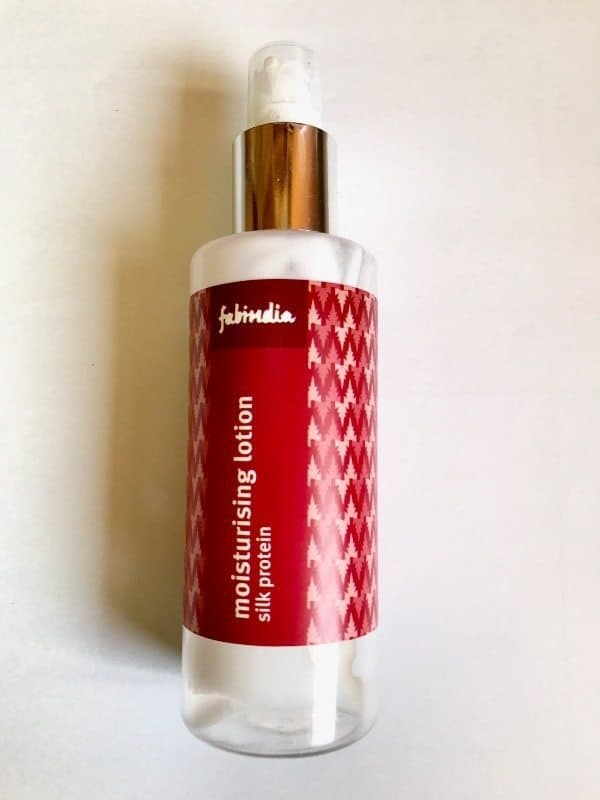 It is a nice body lotion if you have normal skin, I really like the smoothening effect it gives on the application.If you are looking for a lightweight moisturizing lotion for summers then do give it a shot. 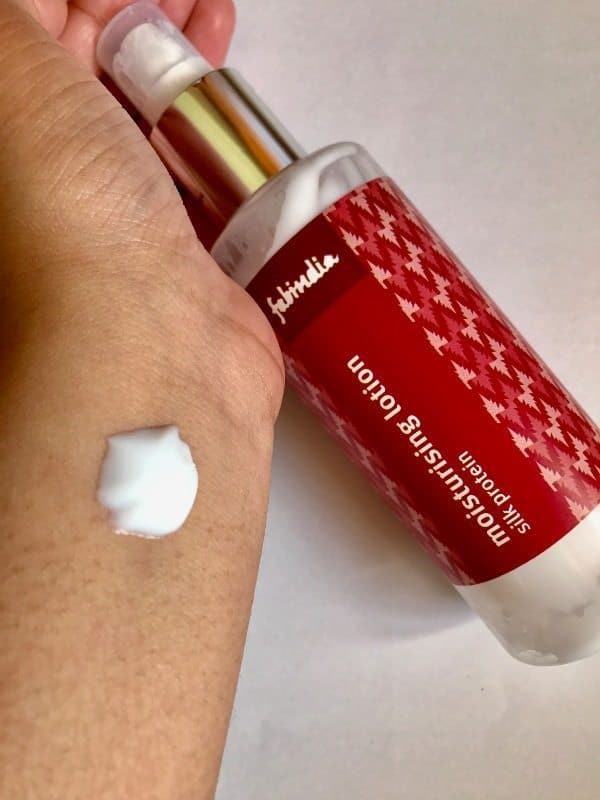 Fabindia Lip Butter Vanilla is it Worth It ?